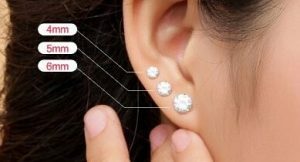 Best Place to Buy Diamond Stud Earrings - Avoid Fakes and Scammers! While a diamond engagement ring puts marriage in the spotlight, diamond stud earrings are purely aesthetics. This dazzling pair is simply worn to brighten her face and boost the sparkle in her eyes! Now, some might assume that if shopping for one diamond is already overwhelming, what more if there’s two? But without a heavy symbol, are diamond stud earrings easier to purchase? Should you carefully inspect the diamond like how you would for engagement rings? Or just trust the best jeweler in town? 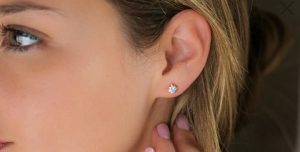 In this post, I won’t just be showing you what the best place is to buy diamond stud earrings, but also why and how. And as usual, we’ll go for the highest quality with the biggest bang for the buck! As a regular consumer, you’d browse through a jewelry store and see pre-set diamond studs. The salesperson will then offer ones that match your budget (or even pricier!) with the promise of better quality. Fancy labels will be thrown in the air as you view the gem under a 10x loupe. And you’re initially sold! You trust the brand, the seller, and you see it sparkle, what else could you need? But you’re not a typical consumer; you like to know your money’s worth. That’s why you can’t just settle with a pre-set diamond without a grading certificate, unless it’s below .30 carats. 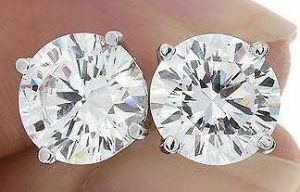 If the pair is bigger than 0.30 carats individually, I would recommend building your own diamond stud earrings to assure its value and quality. Plus, it’s fun picking your own diamond! Don’t worry, the specifications are laxer with diamond studs considering they are viewed farther than engagement rings. You just have to take note of the 4Cs of the diamond and the quality of the setting. Not everyone knows that the diamond cut is the most vital characteristic of the diamond. In fact, what captures second looks is the size! 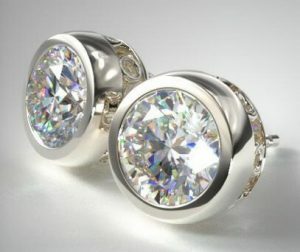 With stud earrings, since they’re worn on the ears, carat weight is the most evident. So, if you really want to stand out, go as big as you like! The sweet spot in diamond color for engagement rings is Color G as you’d barely notice the difference when it’s compared to the highest color grade side by side. So, for diamond stud earrings that have a farther viewing distance, you may go for as low as H to I. Like color, clarity doesn’t need to be the highest for diamond stud earrings. Some stones that are not eye clean are actually considered eye clean in earrings. Though, this doesn’t mean that you can opt for the lowest clarity grade. You should still make sure the diamond is eye clean. And that’s usually in the VS2-SI2 ranges. We may be lenient with the other 4Cs, but Cut is still immutable; Cut is always King! Given the display stretch compared to the in-your-face engagement ring, diamond stud earrings need optimal sparkle and greater size to really shine. Excellent Cut is the way to go! Now, the setting isn’t just the holder of the diamond. Even the most brilliant gem can look off if it’s paired with a low-quality setting. There should be symmetry and craftsmanship. But best of all, settings should be able to amplify the beauty of the diamonds, as much as the beholder. Buying diamonds online offers huge price advantages, but it's quickly set off if you don't know what kind of diamond you'll be getting. After all, you can see them in person in a physical store. For this reason, it is important that you get to view as much of the diamond as possible. Just knowing about the cut, carat weight, clarity, and color of the stone is not enough. It won't give you an idea of what the diamond looks like. This issue is of particular importance when checking the eye-cleanliness of diamond stud earrings, and making sure the diamonds exhibit superb fire, brilliance, and scintillation. 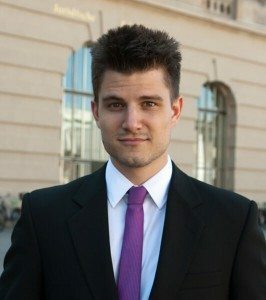 A reputable diamond store shouldn't just display a generic image or some animated picture of their diamonds. They should offer high definition photos from different angles or better yet, provide actual videos. This way, you can be sure that the vendor is not hiding anything from you! You should also be able to easily access a grading report; preferably one from either GIA or AGS. The top vendors today offer diamonds that are mostly graded by these two best grading labs. It’s a seal of quality and assurance. A testament that you are getting exactly what you fell in love for in their gallery! James Allen has revolutionized diamond shopping as the first company that has introduced magnified HD 360 ° videos of ALL their diamonds! This means that you know what you'll get in advance. 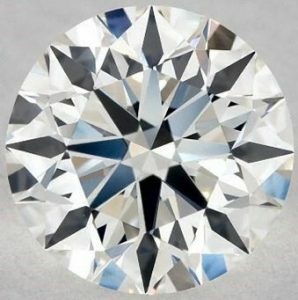 At the moment, James Allen is the only vendor that offers high definition 360° videos of all the diamonds in their inventory, topped with an excellent customer service. See it for yourself! Blue Nile is known for pioneering the online diamond business. They still have the largest selection of diamonds and the company with the biggest turnover. However, Blue Nile has lost its power and is losing increasing market shares because of customers who are not willing to buy diamonds blindly. Whiteflash is the fiercest competitor of Brian Gavin and is actually on par with Brian Gavin. They offer Idealscope, ASET, and Hearts and Arrows images for all of their in-house diamonds. Their signature line “A Cut Above” is considered as among the very best diamonds ever found! Brian Gavin, the founder of Brian Gavin Diamonds, is a 5th generation diamond cutter from South Africa. Being one of the major influencers in developing Hearts and Arrows Diamonds, Brian Gavin fully committed himself to selling only diamonds with the best cut imaginable. Although the search for the perfect pair of diamond stud earrings is not as strict as engagement rings, cut remains cardinal to the overall beauty of the diamond. Marry it with a good carat size and the best bang for the buck color and clarity grades, and all you need to do is pick one of the best online vendors above. Choose impeccable settings, and watch your diamonds dance in 360° HD!